Spencer’s Smart Rewards is a program designed to reward privileged customers of Spencer’s like you, and to help make fine living affordable. As a privileged customer, you can earn reward points when you shop at Spencer’s. That’s not all, Spencer’s will launch exclusive promotions and benefits for program members from time to time. So gear up for a lot more coming your way. For any further information you may also call us at 18002660134 (toll free – operational 8 a.m. to 10 p.m. on all days), write to us at customercare.spencers@rp-sg.in mentioning your card number and we will get in touch with you. Happy Shopping! 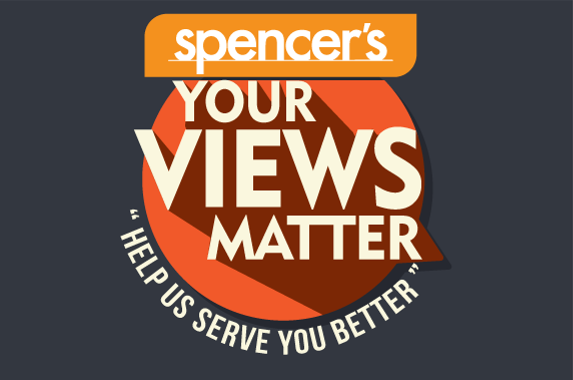 Remember, every time you visit Spencer’s you will enjoy a shopping destination with international ambience, customer service, and quality, featuring prices you can trust on a wide range of products from all over the world..